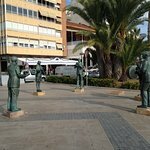 ... are at the other end of the promenade from the monument and tourist office. 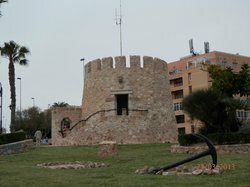 A beautiful place along the coast near the casino which is also worth a visit. 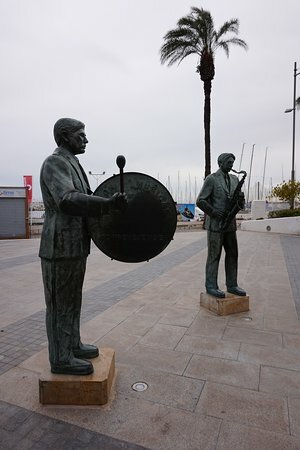 This is just a couple of statues of musicians, close the the marina. 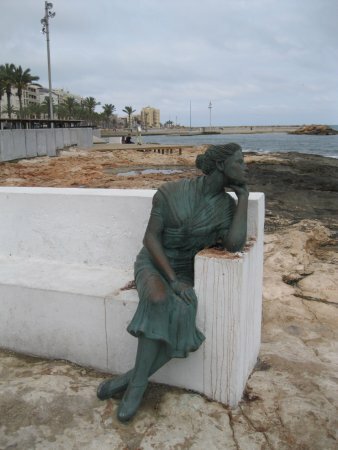 Interesting to look at for a minute or two, but certainly not an attraction I would go out of my way to see. 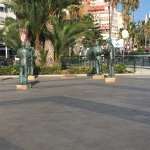 I love these guys. 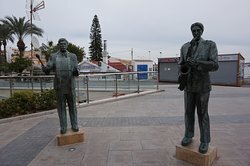 They’re on the new boardwalk by the tourist information office & are really excellent statues, with loads of character. 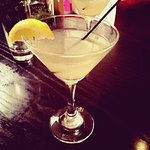 You can’t miss them, pop over & say hi to them. 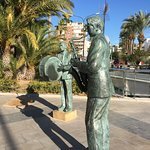 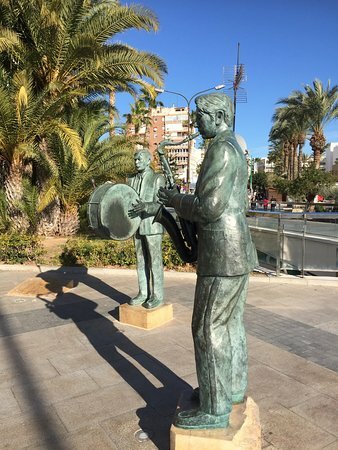 Excellent tribute to the many musicians of Torrevieja - nice area for stroll from the Tourist Information office & many bars & restaurants around. 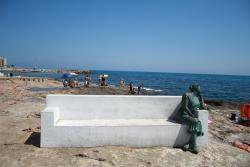 Pleasant, tiled seating areas for people watching, reading & relaxing. 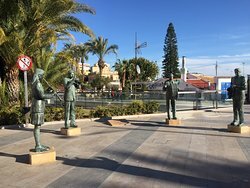 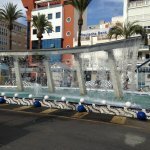 This group of musician sculptures is located just a short walk from the marina and Torrevieja Tourist Information Centre. 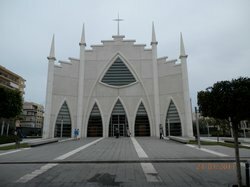 Very interesting and worth a photo when passing. 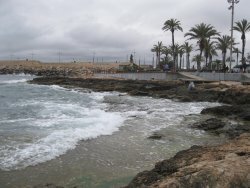 A beautiful place along the coast near the casino which is also worth a visit. 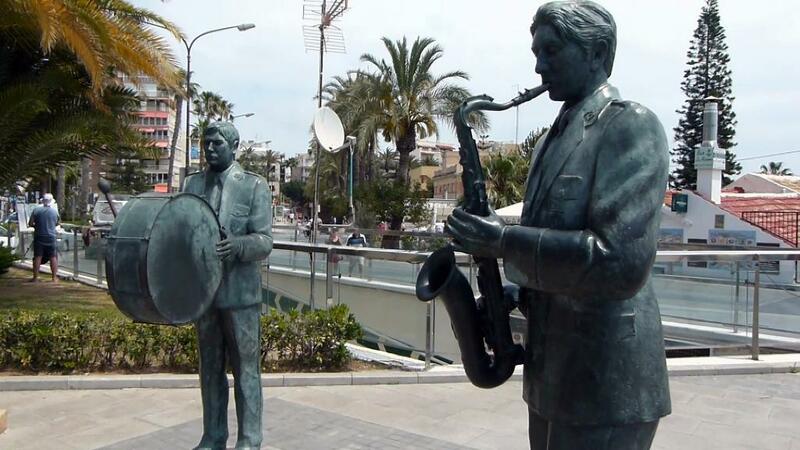 The orchestra is also close to the Theme park and bazaar. 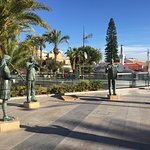 With underground parking this promenade is worth a visit, book ended by a fountain at the top end and cast statues to local musicians at the bottom end There are small huts along the sea view side open at night selling books, clothing souvenirs etc. These always delight. 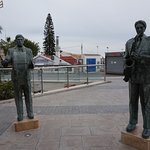 A short stroll on the promenade, lovely to bump into these fine musicians on the way to the Casino. 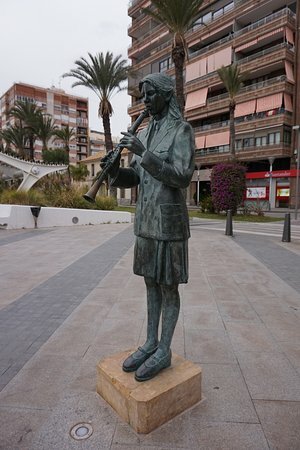 Having these statues dotted around the town is a nice touch and makes it sort of festive. 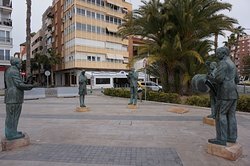 These are at the other end of the promenade from the monument and tourist office. 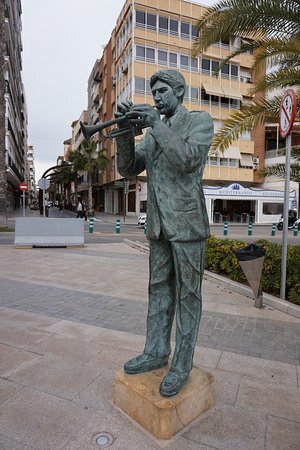 Get quick answers from Monumento Homenaje a los Musicos Torrevejenses staff and past visitors.